I See Problem-Solving for LKS2 and KS1 – update 1! 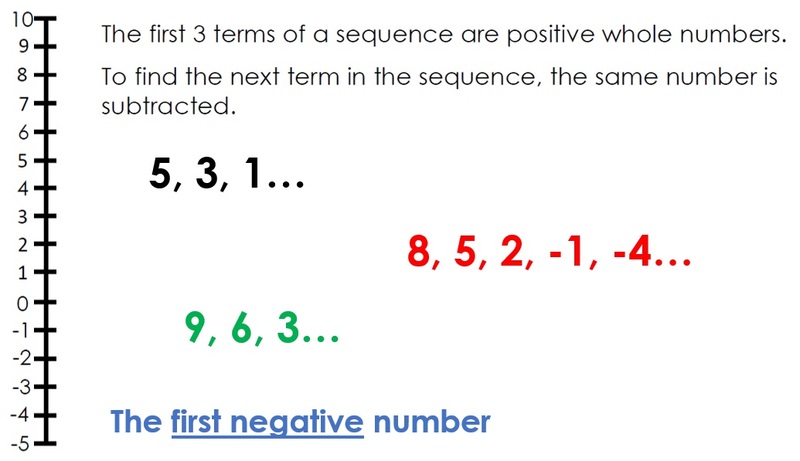 After completing I See Problem-Solving – UKS2, I spent some time before Christmas extending my free resources for Early Number Sense and creating some free resources for visualising multiplication. Now it’s time for the next big project – writing I See Problem-Solving – LKS2 and I See Problem-Solving – KS1! Soon I will start creating the tasks themselves. I’m going to start with tasks in addition and subtraction, multiplication and fractions. The idea is that the pre-task steps will help children to learn the sub-skills for answering the main task, making the activities accessible for all. Then there will be reasoning tasks and extensions for deepening learning. Expect lots of visual, thought-provoking mathematics! Example tasks will be sent for trialling to people on my trial resources list for KS1 and LKS2: expect the first email mid-February. It helps so much when people tell me what they like about the sample tasks and what can be improved. I’m still very busy with my teaching and training commitments, so if I’m a bit delayed that’s why! Once all the trialling is done, hopefully the finished product will help teachers to do something that I always found hard: systematically teach problem-solving skills to children. I’m mega-excited about what can be achieved. 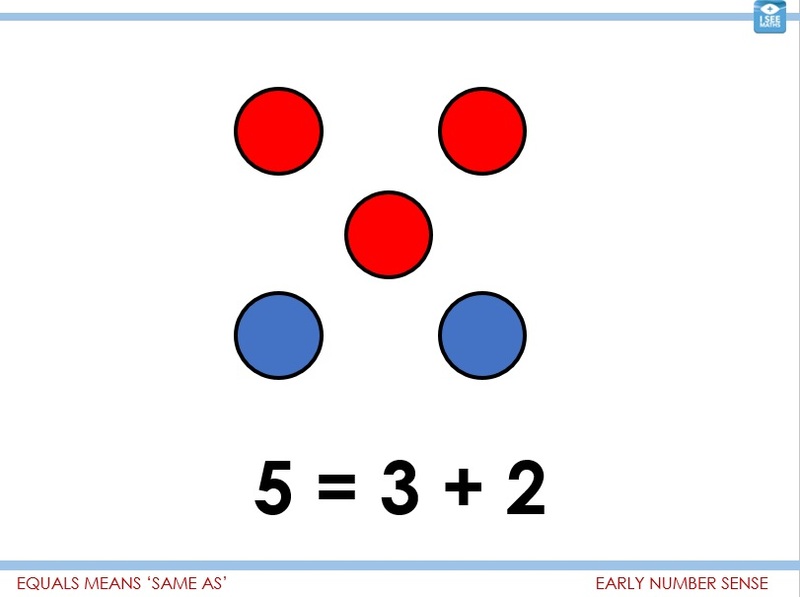 I See Reasoning – KS1 and I See Reasoning – LKS2 are designed to help teachers build reasoning into daily maths lessons. 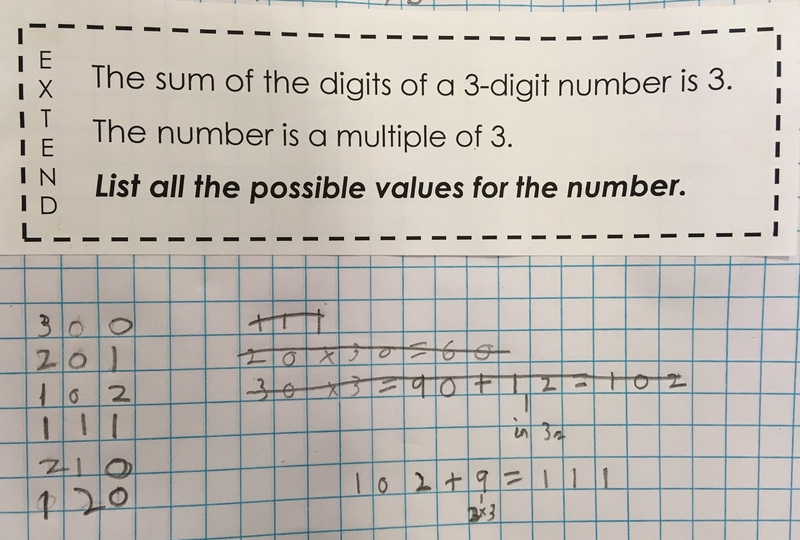 This is the first in a series of blog posts about how to systematically teach problem-solving skills using I See Problem-Solving, outworking the EEF research (recommendation 3) about using rich problems to learn mathematics. 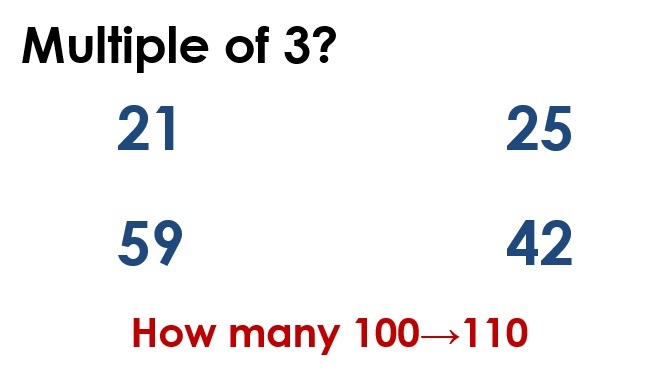 The free I See Problem-Solving Worked Example is used to show the three possible solutions. 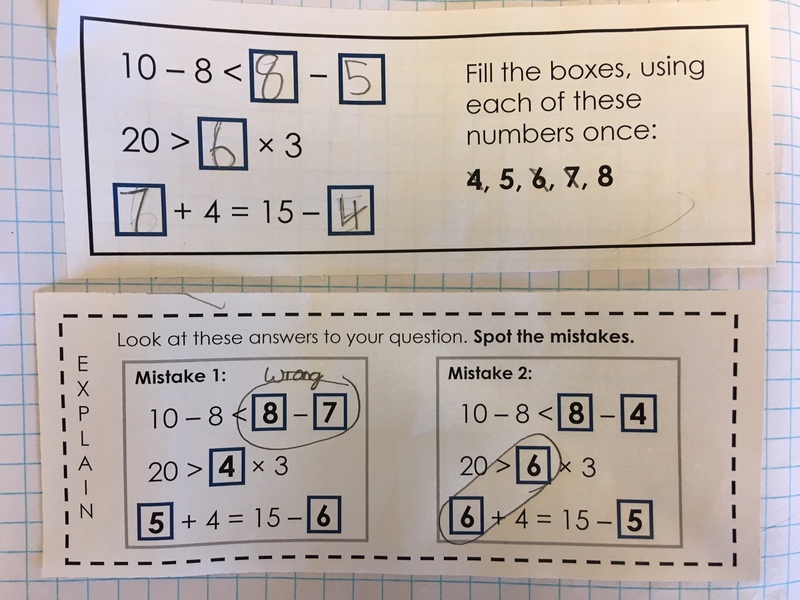 The following day, we pick up on a few misconceptions and look for ways to become more efficient, including looking at the example above and considering how we could add a multiple of 4 and 5 rather than the repeated adding. I’m trying to make problem-solving accessible for all children, whilst ensuring that every child is challenged. I hope you find I See Problem-Solving super-helpful. The LKS2 and KS1 versions are in production! 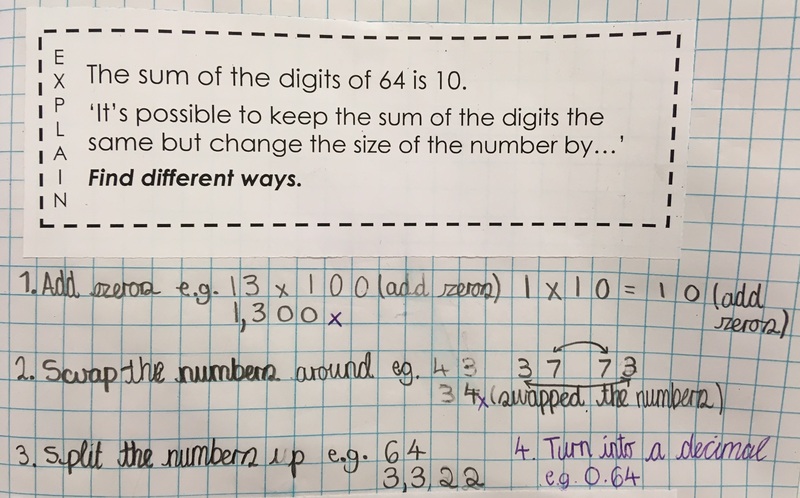 This is the second in a series of blog posts about how to systematically teach problem-solving skills using I See Problem-Solving, outworking the EEF research (recommendation 3) about using rich problems to learn mathematics. We also made the point that, for the example above, we don’t need to cross out those beautiful workings out! 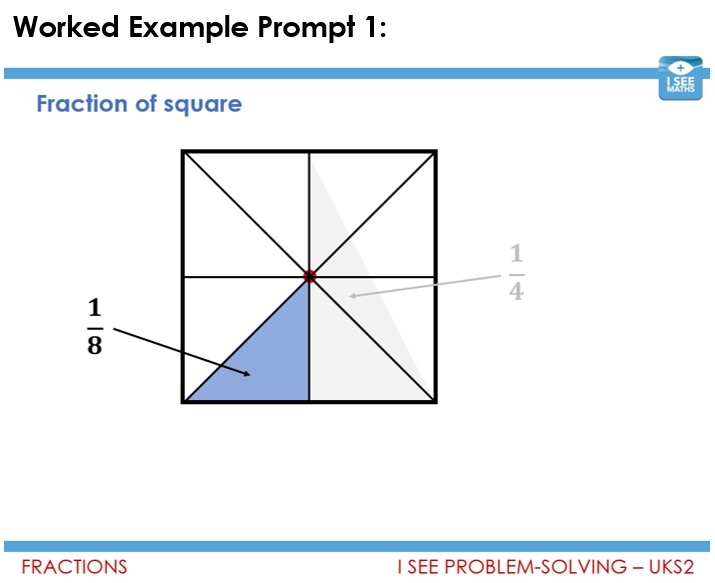 This is the third in a series of blog posts about how to systematically teach problem-solving skills using I See Problem-Solving, outworking the EEF research (recommendation 3) about using rich problems to learn mathematics. There is a super-challenging extend task that some children will get to tomorrow. We continue to model = as balance using scales and Numicon. It’s easy to give children maths problems to solve; it’s much harder (and very time consuming) to systematically teach problem-solving so children become more competent problem-solvers. Here’s some thoughts on how my teaching of problem-solving has evolved and how I See Problem-Solving fits within this vision. 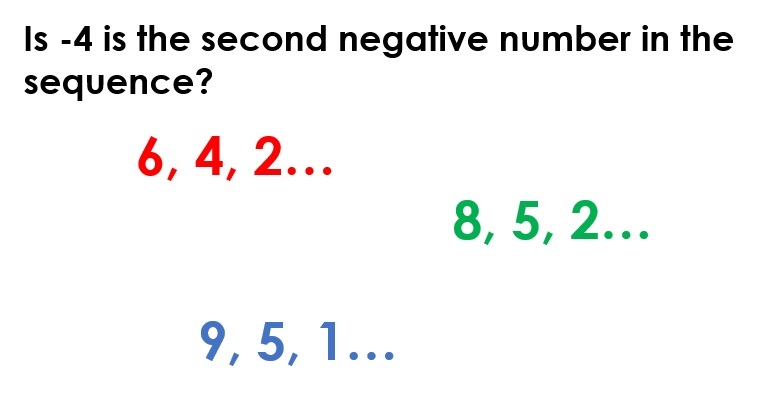 Then we model the process of finding all possible answers with this prompt (answers: 5&5, 4&6, 7&3). 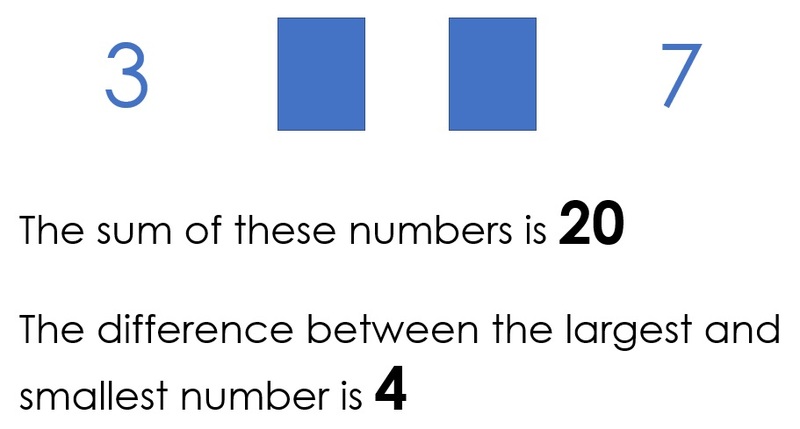 We also highlight a likely mistake: 8&2 (the difference between the smallest/largest number no longer 4). Now we get into the main task (sum of 4 numbers is 23, difference between smallest/largest = 4, all numbers different, how many ways?). Where appropriate, children use whiteboards and counters to access the task. 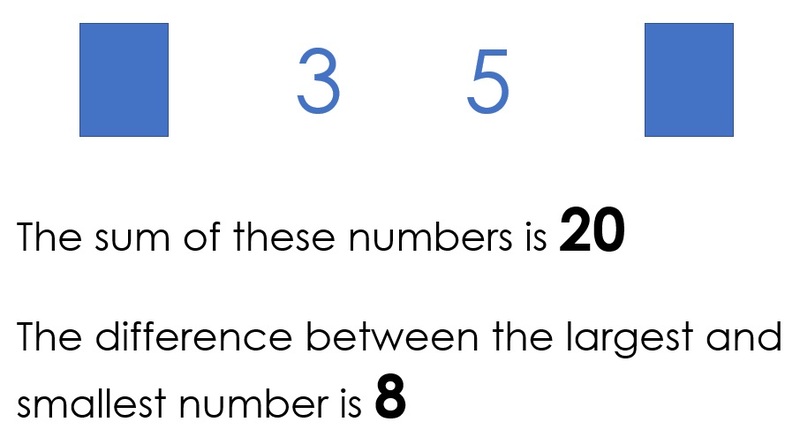 When we find the answer 3, 4, 7, 9 we consider whether there is another solution that can be found keeping the 3&9 as the smallest/largest numbers. As the lesson progresses, we explore systems for finding all possible answers and some children move on to the explain/extend tasks (which are variations on the main task). If you want to use Task 13, check out the free sample resources on this page. The solution to the problem is shown step-by-step by the pre-made worked example. One little caveat: some children may benefit more from going straight into the question; others may need this extra scaffolding before getting into the main task. As ever, it’s about knowing your children. There have been lots of great maths problems written. 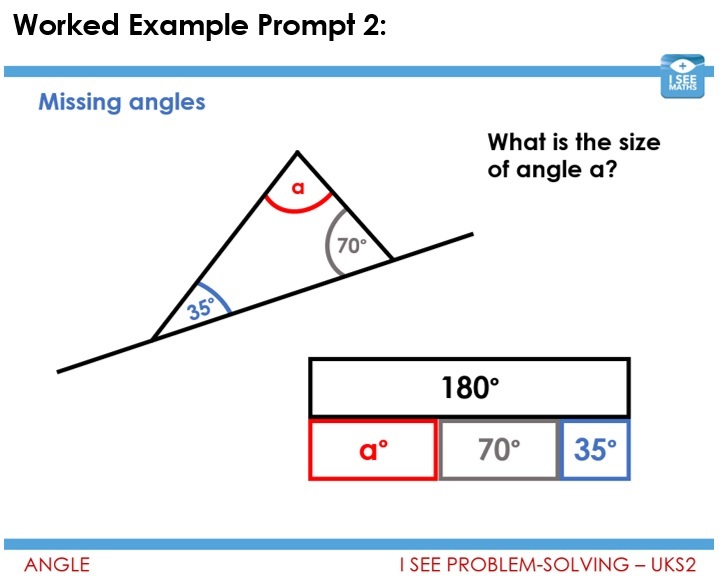 I hope that I See Problem-Solving takes things to the next level by presenting related problems and reasoning tasks in a coherent order, and by clearly representing the mathematics within the tasks. I also hope that this blog gives food for thought about how to introduce problem-solving tasks so more children experience success. Enjoy using the resources! 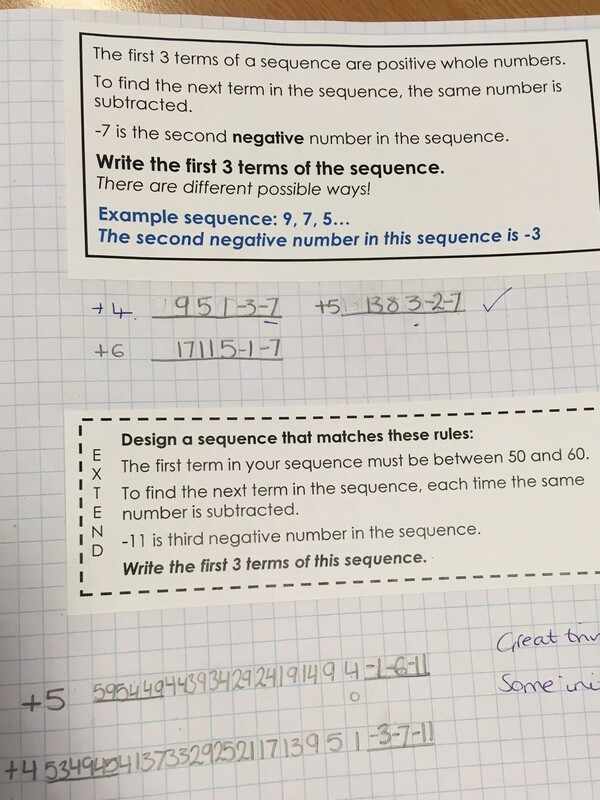 I See Problem Solving – UKS2 is designed to transform the teaching of problem-solving in mathematics. Its design addresses Recommendation 3: teach strategies for solving problems from the recent EEF report. It will give all children the opportunity to understand and answer non-standard questions, whilst also providing appropriate challenge. This blog focuses on how extra challenge is provided to deepen and extend children’s learning in each task. Each task begins with the main prompt question. For some children, answering this question may be their ‘Everest’; others will need more challenge. 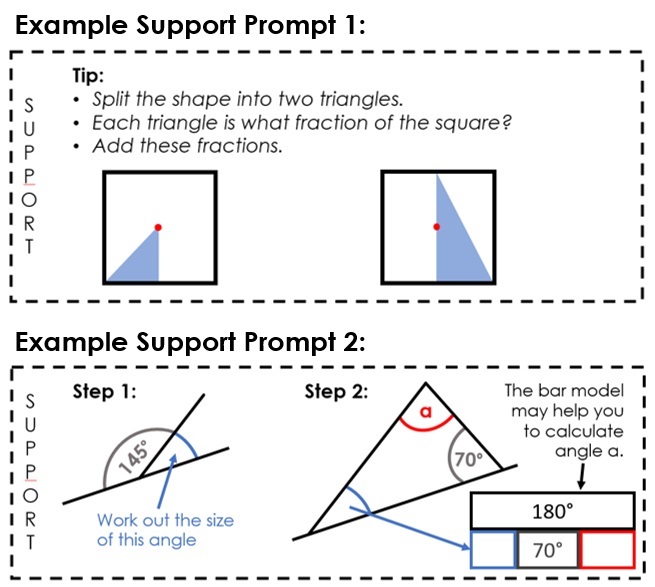 This blog explains how extra support is also provided in each task. I See Problem Solving – UKS2 includes a huge range non-standard problem-solving tasks spanning right across the curriculum. It costs £24.98. 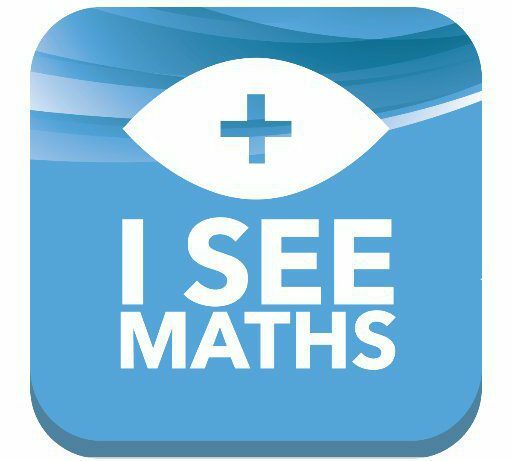 I See Problem Solving – UKS2 is designed to transform the teaching of problem-solving in mathematics. Its design addresses Recommendation 3: teach strategies for solving problems from the recent EEF report. It will give all children the opportunity to understand and answer non-standard questions, whilst also providing appropriate challenge. This blog focuses on how extra support is provided to help children to ‘see’ the structure of the problems and to experience success. There is then a ‘support’ prompt for each task which the children may choose to use. 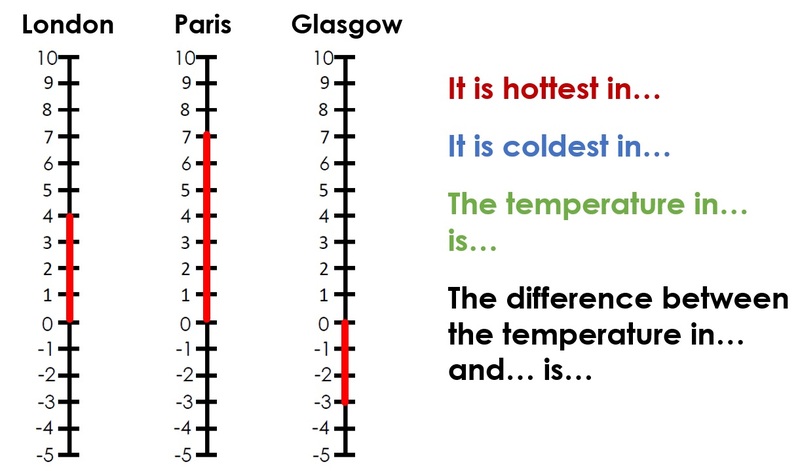 This will help children to understand the mathematical structure of the task. It may show a part-completed bar model, give some suggestions or offer a ‘way into’ the task. This will help all children to access the task and be more likely to taste success. 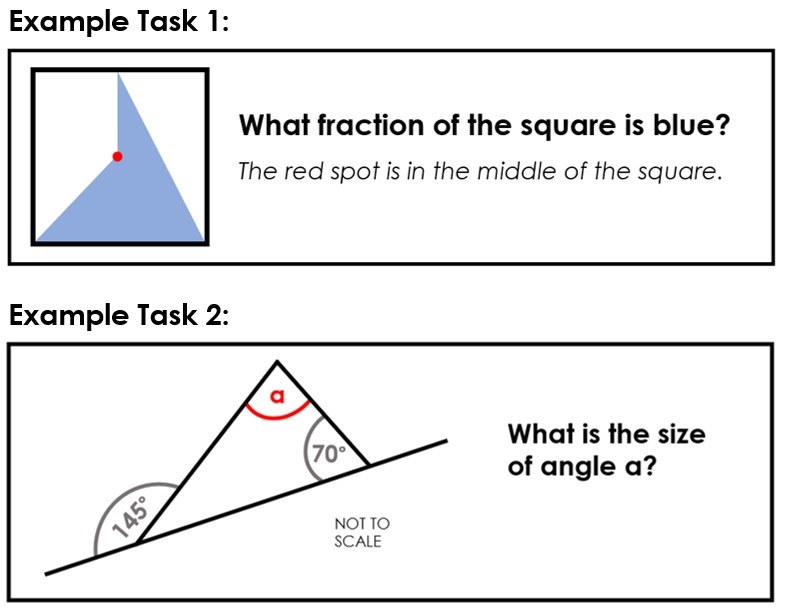 This blog explains how deeper levels of reasoning and extra challenge are then built into each task.